Since works on the 6th entry of the Resident Evil movie franchise goes slow, director Paul W.S. Anderson had some time on his hands and decided to spend it on Pompeii 3D. Here, he lets Kit Harington of Game of Thrones fame escape both tyranny and an erupting volcano while finding love. Not really a change of pace for Harington who looks like he could have taken his armor from the GoT art department. However, the trials and tribulations he goes through won't be depicted in its uncensored form, at least not in the UK. This work was originally seen for advice. The company was advised that the film was likely to receive a 15 certificate but that their preferred 12A classification could be achieved by making some changes. The company was advised to reduce stronger moments of violence where there was a dwelling on particular acts and to reduce the emphasis on blood on bladed weapons. When the film was formally submitted, changes had been made which addressed these concerns. Consequently, the film was passed 12A. It can't be said for sure whether this censored version will only be used in theaters or if it might find its way on a later DVD release (or - God forbid - the Blu-ray, as well). Time will tell and we will look out for it to report it. 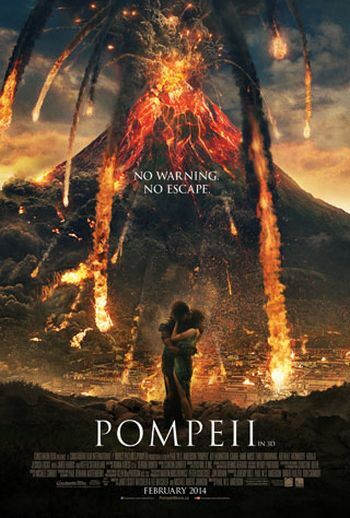 Pompeii 3D starts in UK cinemas on May 2nd, 2014.